Washington Academy senior Matyas Nachtiagall started his season of slow, but he's ready to close it out much faster. 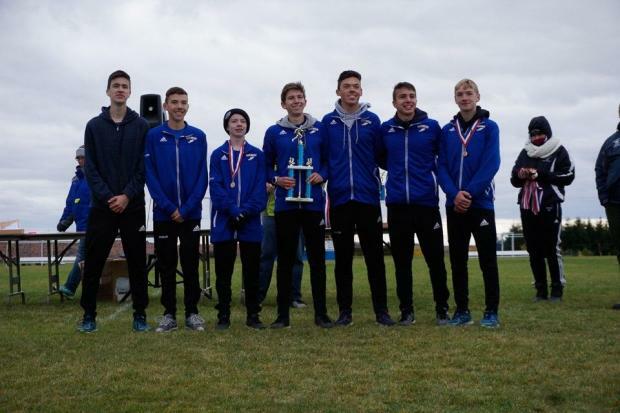 Nachtigall who finished fourth in the championship a year ago battled Caribou senior Dylan Marrero on Saturday at Presque Isle, using his strength to pull away for a 15 second victory with his best effort over 5k of 17:03.60. The win was a bit of a surprise given Marrero's success this fall (16:41.58) and that he was the defending champion, but not shocking given the pedigree of Matyas. 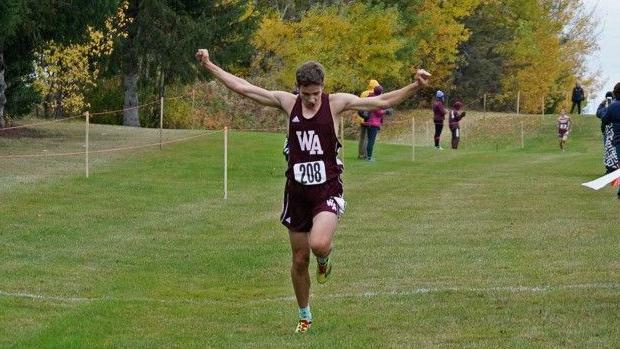 Given his strong race on Saturday he will be considered one of the top individual at the Class C state meet in two weeks. Marrero continued his strong fall with his runner 17:18.40 finish, his time was over a minute faster on the same course that he ran on a month ago, he was followed across the line by teammate Kyle Boucher in 17:33.60. Hermon senior Braedon Stevens grabbed fourth place in 17:38.40, he was followed by another Viking sophomore Jordan Duplessie in 17:42.30. Ellsworth's Matt Shea was next across the line in sixth (17:47.80), and then it was the Hermon train as the Hawks claimed the next three spots. Ben Zapsky was seventh (17:51.60), then it was senior Kyle Byram (17:56.20) & closing it out for the Hawks was freshman Ian Meserve (18:00.70). Mt Desert Island sophomore Jon Genrich rounded out the top ten in a time of 18:12.50. The team title was a close on as Hermon edged Caribou 40-42 to win the Large school title. The two teams have raced each other several times on the year, and this was the closest the Vikings have come to Hawks. Hermon was paced by four runners in the top nine finishers, and all seven athletes in the top 21 overall. They averaged 17:56, with just a 39 second pack time. 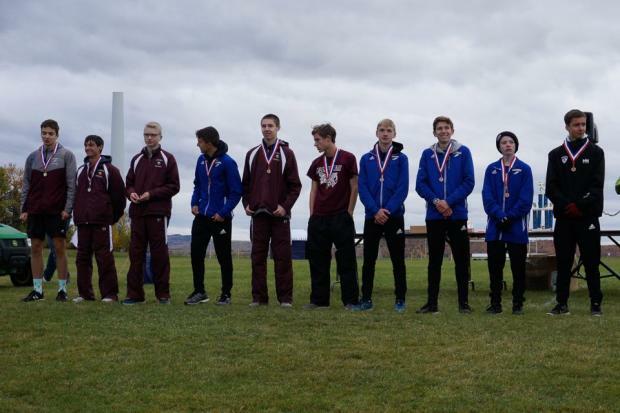 Caribou averaged 17:57 but their pack time of 1:30 proved to be the difference as the Vikings placed three in the top 5.